It’s National Volunteer Week – THANK YOU! 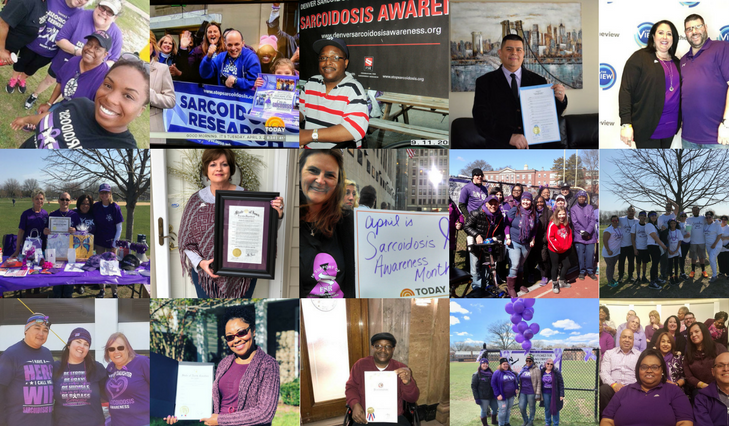 We want to take a moment to thank all of the awesome sarc warriors and their loved ones who have joined the fight against sarcoidosis. Whether you’re participating in a Team KISS walk, helping us Paint the Map Purple, fundraising for sarcoidosis research online, helping raise awareness on national TV, or just wearing purple this month- we appreciate you and all that you do to help stop sarcoidosis!